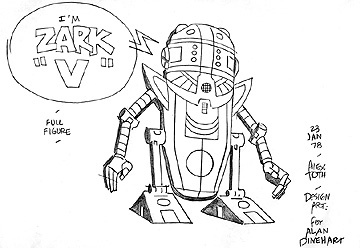 The original layout model sheet for "Zark 'V'" by legendary animation and comic artist, Alex Toth. He appears here without antennae, and with the original design configuration on his front body. His name was changed to the more familiar "7-Zark-7" almost immediately.